When I directed college counseling at KIPP Houston High School, all of my students participated in a program called the Summer of Learning (SOL), which required them to do 100 hours of interning, traveling, volunteering, studying, or a combination of these activities. SOL served multiple purposes. It helped combat “summer learning loss” and introduced students to new experiences, places, and academic and professional options they might not have encountered otherwise. Students often interned at various corporations and non-profit organizations. They also collectively dedicated thousands of hours to community organizations, sometimes giving their time abroad. One year, I had the pleasure of working with a small group of juniors who raised funds to travel with me on a service-learning trip to the Dominican Republic, where we worked on sustainable development and education projects in a variety of communities. This journey was transformational for these young people from inner-city Houston, and for me as well! However, by far, the most spoken-of experiences were academic programs at local and out-of-state college and university campuses. Aside from the fun and adventurous aspects of summertime college programs, there are multiple benefits for attendees, such as: experiencing being away from home, exposure to and preparation for college life, and, in some cases, earning college credit. Being a college student for a summer can be especially eye-opening and helpful for high school students who will be amongst the first generation in their family to attend college. Being on a college campus well before the college application process can provide these students with beneficial context and confidence that will pay dividends when they matriculate at their college or university of choice. There are both paid and no-cost summer college opportunities. 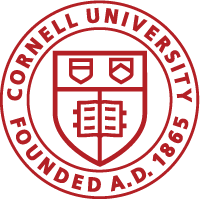 Cornell Summer College has multiple academic tracks and offers a limited number of partial scholarships, so students should apply for financial aid in a timely fashion. Additionally, there are summertime “fly-in” programs that provide transportation and allow students to explore and prepare their application to a particular college or university. These and other such programs are available to students willing to do their research. College Greenlight is an excellent organization that provides information on funded summer programs and many other college prep/access topics. Keep in mind that many college and university summer programs have spring deadlines. Financial assistance may not be automatic, but rather provided on a first-come, first-served basis or by travel grant. Whether you are able to take part in a residential summer college program, take college classes locally (or online), volunteer, intern, do research, or work, it is important that you use your summers wisely. Balancing an occasional lazy summer day with productive time to expand your academic, professional, and other interests is vital to your personal growth and future opportunities. Over the course of your high school years, the three summers leading up to your college application process add up to six to nine months of additional time and experiences to prepare you for life in college and beyond. Being intentional with this “free” time will help ensure there are no holes in the picture admissions officers see when they review your college application. I encourage you to spend your summers learning and playing in different environments, pursuing activities that excite you, and ultimately expanding your horizons!